Snrky: Maybe someone just got the logic wrong. Maybe someone just got the logic wrong. This comic reminds me of this gem of a study done by Gallup that pointed out that most who people leave their jobs do so for reasons that are directly under the influence of their immediate supervisor -- clear expectations, adequate resources to do their job, and plenty of advancement opportunities. 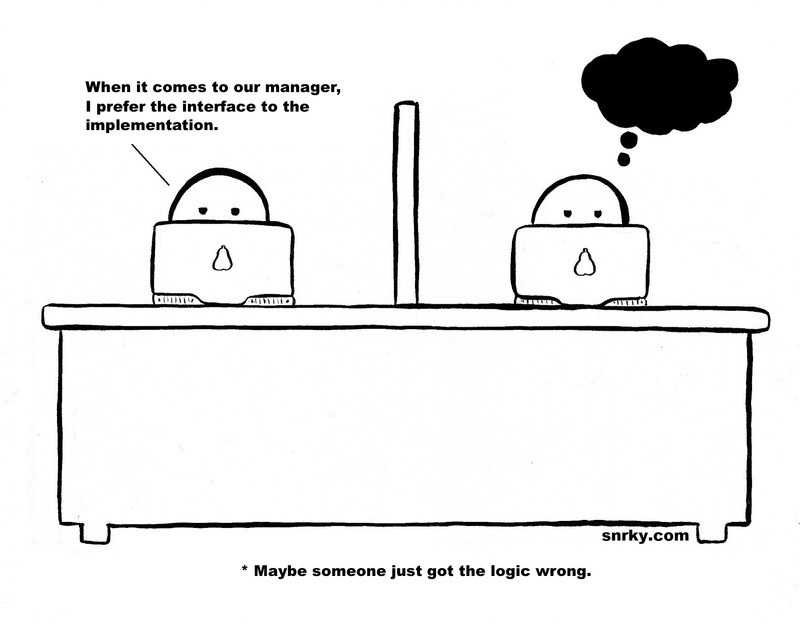 Pay attention managers -- it's all in the implementation!